Xylitol. 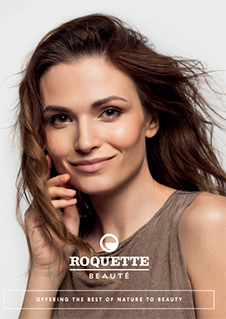 Beauté by Roquette® PO 370 by Roquette is a very versatile moisturizing ingredient. It is obtained through a biotechnological process from glucose, process patented by Roquette. It can also be used as a mild scrubbing agent in daily facial wash due to its large particle size. Also, when added to flavored lipsticks and oral care products, it provides some sweetness or simply to mask a bitter taste and thus improve overall sensorial experience. It reduces microbial growth, aids tooth remineralization and prevents tooth decay. Beauté by Roquette® PO 370 is recommended for use in oral care, skin care, hair care as well as color cosmetics. Compliant with US, EU, China and Japan regulations. It is ECOCERT/COSMOS approved. Please note, these HSP values are estimations. It is based upon the “like seeks like” principle. It splits an ingredients interactions into three parameters; δD (Dispersion force interactions), δP (Polar forces interactions) and δH (Hydrogen bond force interactions). Hansen Solubility Parameters can help you find a wide range of products that are predicted to be compatible with Beauté by Roquette® PO 370. A practical determination of these HSP values would provide higher certainty. Learn More.